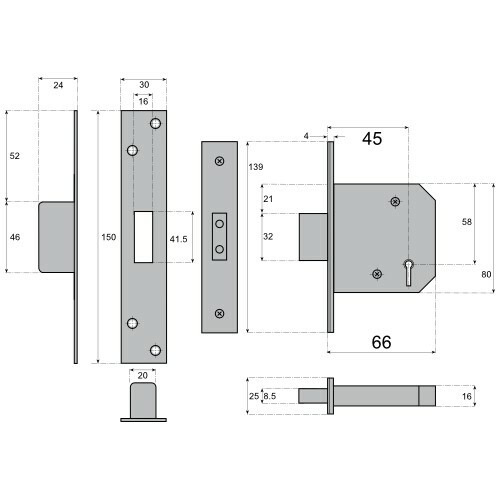 One of our best selling locks and the first choice of many of our trades customers for external doors requiring a High Security 5 Lever Deadlock. 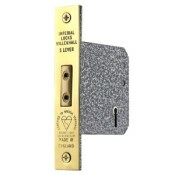 The lock features a solid, hardened steel, anti-saw deadbolt with a positive 20mm throw, hardened steel anti-drill side plates and 5 pick resistant levers. Certified to BS3621 and recommended by insurance companies and the police. Suitable for residential and heavy use commercial applications and approved for use on fire rated timber door sets in accordance with current regulations. 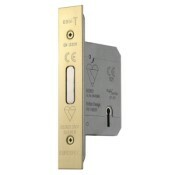 Manufacturer's standard keyhole escutheon sets are 32mm dia, one covered and one plain in matching finish. 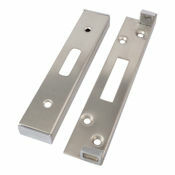 Alternative keyhole escutcheons can be found in any of our door furniture collections if required. 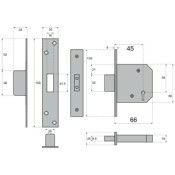 This lock is supplied "to differ" whereby each lock is operated by it's own individual keys. Similar locks supplied in groups operated by the same key ("keyed alike" or "to pass") can be found in the Related Items section further down the page. Certified to British Standard BS3621 : 2007 & successfully type tested for conformity to all of the requirements of BS EN 12209 : 2003 including the additional requirements for fire/smoke door use - certificates are available on request. One deadlock complete with faceplate, 2 keys, keyhole escutcheons, frame keeper plate and all fixing screws.